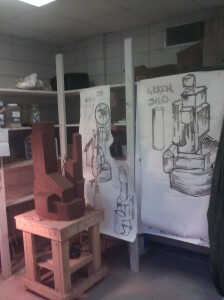 What I am making varies from day to day, in terms of the actual objects. I love history, use, and the deception that simplicity offers. I am currently working on a series of sculptures that derive their forms from wood crib grain elevators of the great plains and the plains of Canada, while at the same time are influenced by Great Lakes freighters and other nautical architecture. I also make pots because the I enjoy the challenge that merging aesthetic and utility offer me as a maker. Their forms are simple, influenced by things like North American pioneer tinware, industrial tinware from the turn of the 20th century, as well as more ceramic influences like the Mingei potters of Japan and their western counterparts. I want to make beautiful things that illuminate the otherwise overlooked. As someone who doesn’t make a living from their work, I really have to be diligent to make sure that I get into the studio every day. 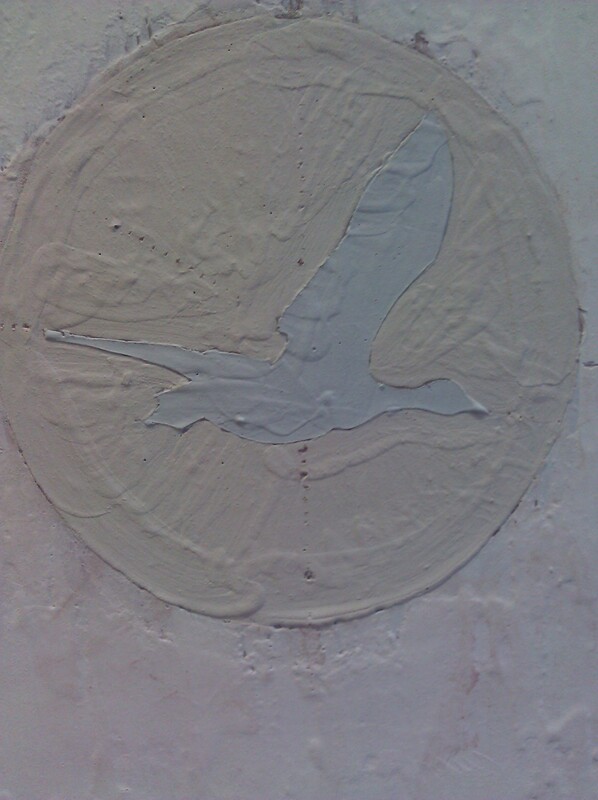 I work a couple of regular jobs, one of which is for the university here in town and that affords me a studio space with access to kilns and equipment I might otherwise not have. There, I repair and maintain equipment and assist in the day to day physical needs of the facility. My other job is fabricating stained glass windows for an artist here in town. I work between 40 and 60 hours combined at these jobs in any given week. This basically means that my studio time has to be well-considered and taken as it comes. 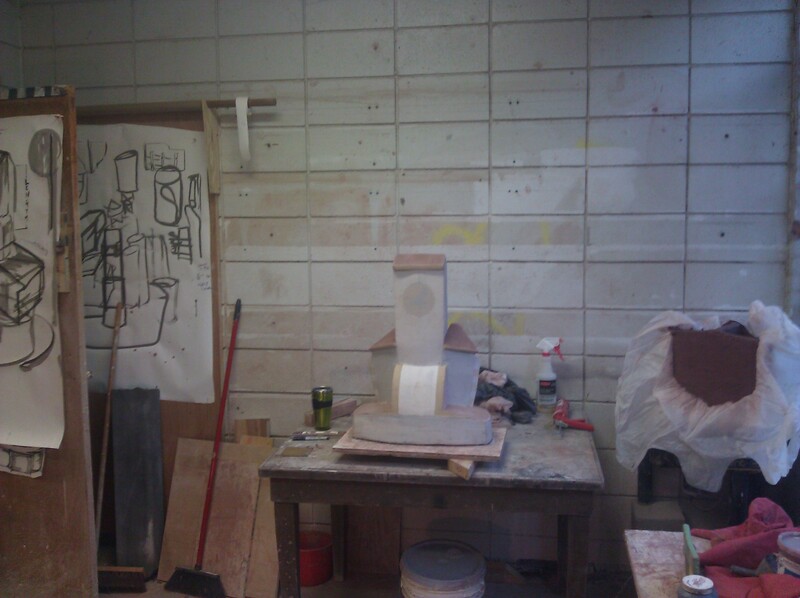 I work a lot of late nights (which I enjoy), and fit my studio practice into nooks and crannies throughout the day. I am nearly constantly sketching or doodling, and thinking of work and ideas occupies a good deal of my mind. 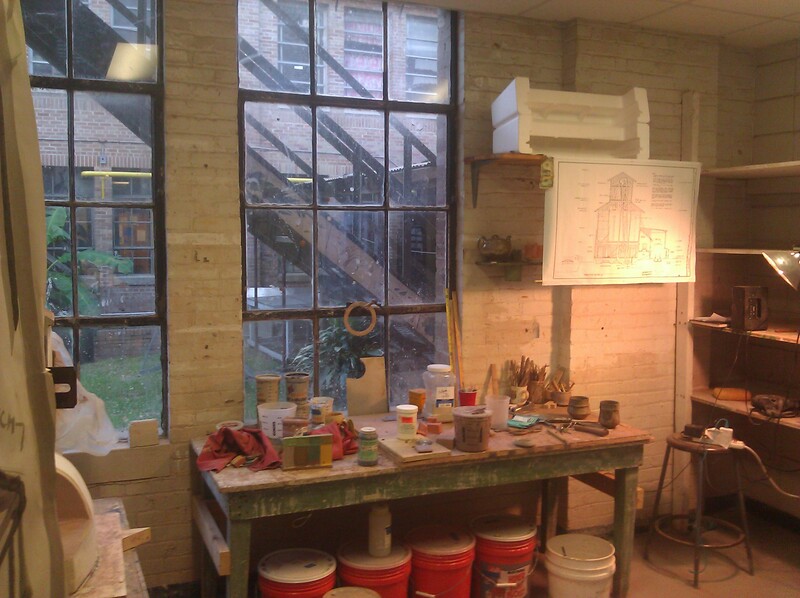 My studio has two 4′ wide by 8′ tall windows in it–they are old single paned warehouse windows. The bottom sections pivot in their centers allowing the hot and moist Louisiana air in when I want it…. It is a studio within the art department at Louisiana State University, and as such there are often a few dedicated students working in their own spaces adjacent to mine. This brings with it the sounds of their music, the smell of coffee being made, occasional interruptions of questions or requests for assistance…. The walls are concrete block, scarred by years of clay and neglect, the floors are worn linoleum tile that is chipped beyond recognition in places. It smells of clay—imagine digging a hole in a field after a rain, with the ground soft and that fresh, earthy fullness that meets your nostrils—that’s the dominating odor. Beyond my studio is a campus populated by turn-of-the-century architecture, live oaks, and of course students. It is regal in ways that make me uncomfortable, but visually interesting nonetheless. My space is very much a black box. It exists for me to work inside—when I first moved into it it was full of junk. I spent a day finding new homes for equipment, and throwing away refuse left by its previous inhabitants. Now it has become a space that changes based on what I am building or making. In my current work I am building large scale sculptures, so the potters wheel becomes a rotating platform, and table space is for rolling coils and allowing slabs to setup prior to their addition to the work. This will shift again as the work dries and becomes ready for its surface treatment with buckets of glaze, engobes, and slips making their way from under tables and shelves to be mixed and applied. Perhaps the best way to describe it is that it is flexible. The ideal configuration of a space for me is large. Large, and open, with lots and lots of shelves. I collect things—sometimes these things make their way into my work directly as additions, but mostly they serve as a tactile and visual library providing me with source material to work from. I love large, empty industrial spaces. This comes from my attraction to the marks of use. I enjoy seeing tools that are well used and cared for that show the hand position of the user, they all give hints to the purpose of the object—spaces are the same way. Seeing the outline of where some machine was once bolted to a floor, or the remnants of a belt system that ran a machine shop at some point in its history are inspiring, tell-tale signs for me.